How do I edit or delete student discussion replies in a course? 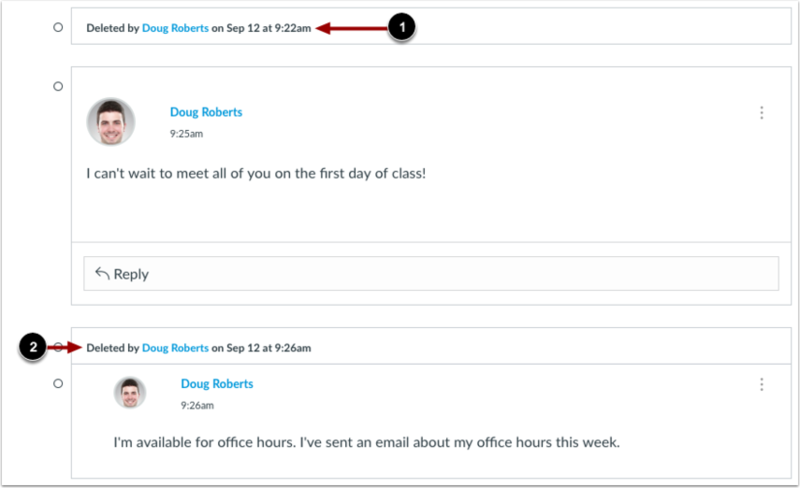 As an instructor, you have the ability to edit or delete discussion replies within your course. This setting helps you moderate your course and remove any inappropriate or otherwise unwanted posts. You can also choose to view or hide all deleted replies in a discussion. By default, deleted replies are hidden in a discussion. Click the name of a discussion. Locate the reply you want to modify and click the Options icon. 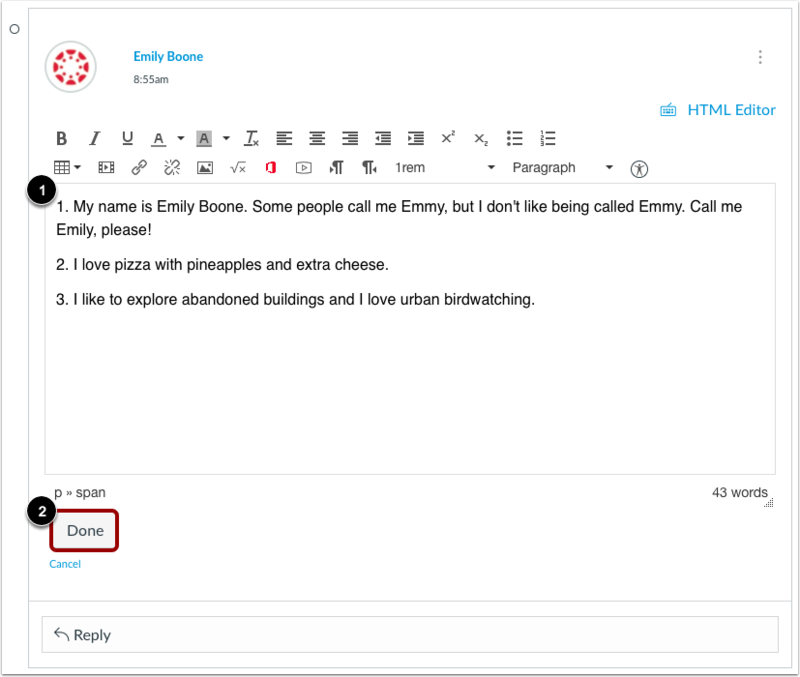 To edit a student reply, click the Edit link. Make your edits in the Rich Content Editor . When you are finished, click the Done button . Canvas will post a note after the entry that indicates the post has been edited. The text will include your name, and the date and time the post was edited. This entry cannot be removed. 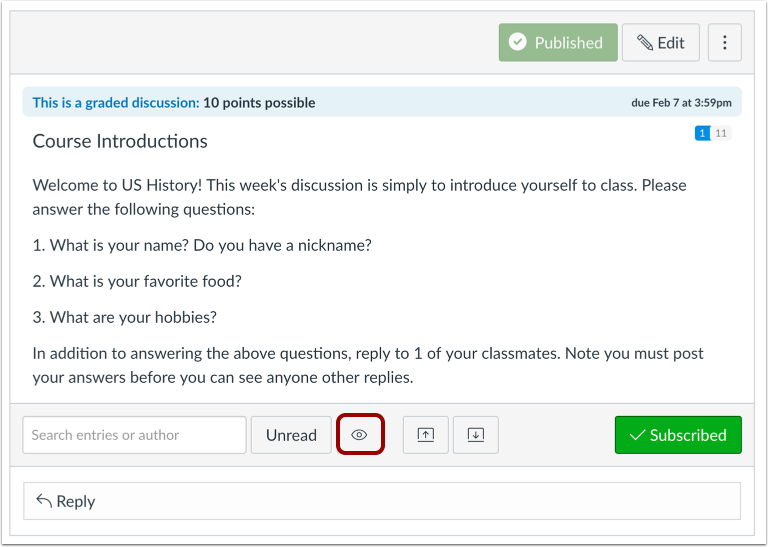 To delete a student reply, open the Options icon and click the Delete link. To delete the entry, click the OK button. To view deleted replies, click the Show button. You can view deleted replies that have been deleted by the user . A deleted reply will include the name of the user who deleted it, and the date and time the post was deleted. Note: If a reply is deleted that has received its own reply , the deleted reply is never hidden and always shows to all users as being deleted. Previous Topic:How can I require students to reply to a course discussion before they see other replies? Next Topic:How do I embed an image in a discussion reply as an instructor? 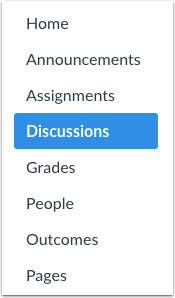 Table of Contents > Discussions > How do I edit or delete student discussion replies in a course? Re: What does the little banner/flag stand for to the right of a discussion?